It’s not long until the A Place in the Sun Live 2018 shows begin in Manchester and London! Ahead of the shows, our Spanish property experts have pulled together their top tips, so you can make the most of the shows. Firstly, we would recommend you have a think about why buying a property overseas is a great idea for you and your family. What are your motives for buying in Spain or another country? Are you looking for a holiday home, a great place to retire or somewhere to relocate to for a new start? Your reasons for buying in Spain will have an influence on the types of property, locations, and steps you can take to buy. We recommend doing some research on the particular areas in Spain you are interested in! Or even better, take a few days out to visit your preferred location(s) to get a ‘hands on’ feel for the area, its local community, cost of living, available amenities and more. Learn more about our £99 all inclusive viewing trips. The Costa Blanca coastline is over 200 km which is the equivalent of Birmingham to Leeds! That’s a lot of areas to choose from! Each province in Southern Spain offers unique selling points, which can include the proximity to the beach or golf courses, the wealth of history and traditional aspects of an area or the social expat communities. 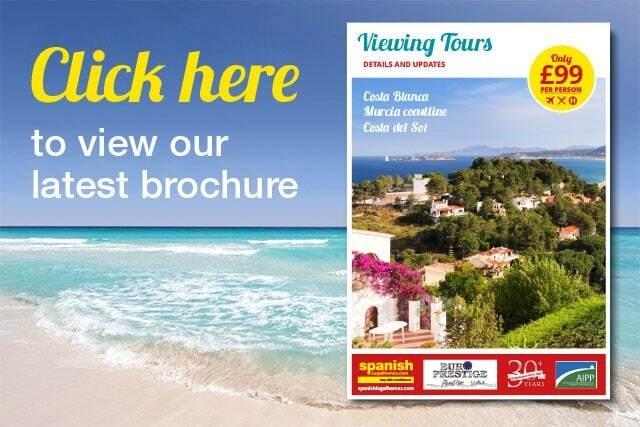 Take a look at our Murcia, Costa Blanca and Costa del Sol pages for more inspiration. What would be your ideal property in Spain? A 2-bed apartment within walking distance of local amenities or perhaps a villa with a private pool? When considering this decision it’s best to get a wishlist together and then talk with a Spanish property expert to see which locations will deliver your dream property within budget. It’s beneficial to have a plan of when you would like to buy; this doesn’t have to be a specific date but could be within 3 months or 6 months etc. Having a provisional date range in mind will help you make decisions such as when to start looking for property, getting your finances in place, flying to Spain for property inspections etc. Have you got your finances in place? Last and by no means least, is to make sure you have organised your finances. It is most helpful to have an idea of your budget bracket so you can view the best properties to suit! Also have a look at what financing options are available to you; there is a variety of UK and Spanish finance options to UK buyers which are often easier to obtain that you may think! Being able to access new funds may help open doors to better locations, bigger properties and in turn, you can reap the returns if you choose to let the property. Learn more about financing here. A Place in the Sun Live – on the day! On the day of A Place in the Sun Live, we recommend attending the free seminars hosted by the presenters. These are full of top tips for buying abroad and you can hear all about their experiences in buying and dealing with property overseas. Get there early to ensure you get a seat! In addition, we advise booking appointments to ensure you speak to your favoured agents or you can talk to us before the show! Our friendly expert advisers are available every day in the run-up and after the shows to answer all your questions! If you would like your questions answered ahead of the show, please do not hesitate to get in touch! Email us at sales@epspain.com or call 01202 971614. We’re excited to be a part of your journey to buying in Spain. Have you ever considered Murcia golf properties? Is a Spanish mortgage the right choice for me?